Looking to add some color to your suit? 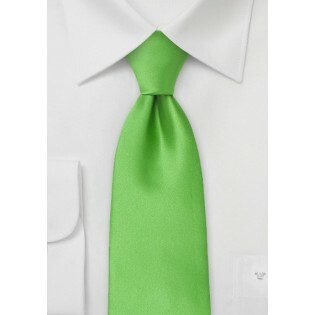 Then this bright kelly-green tie will be perfect. The solid color design will be easy to match to any shirt and suit pattern. We suggest you to wear this tie with a pin-striped navy blue suit, white shirt, and brown shoes. 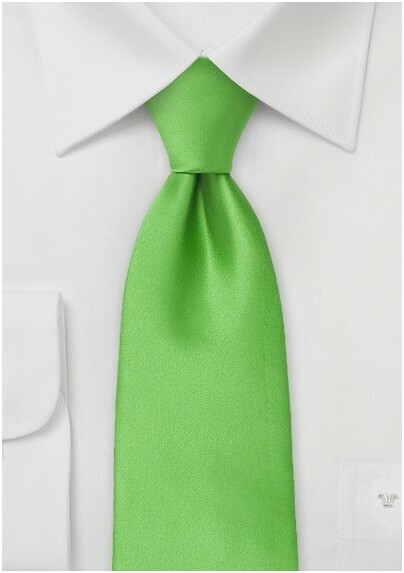 This tie is made from a man-made microfiber. It looks and feels like silk but is more resilient to stains. It is a perfect material for any solid and/or light colored necktie.